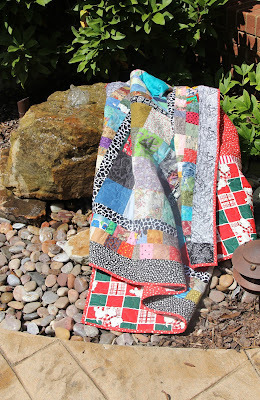 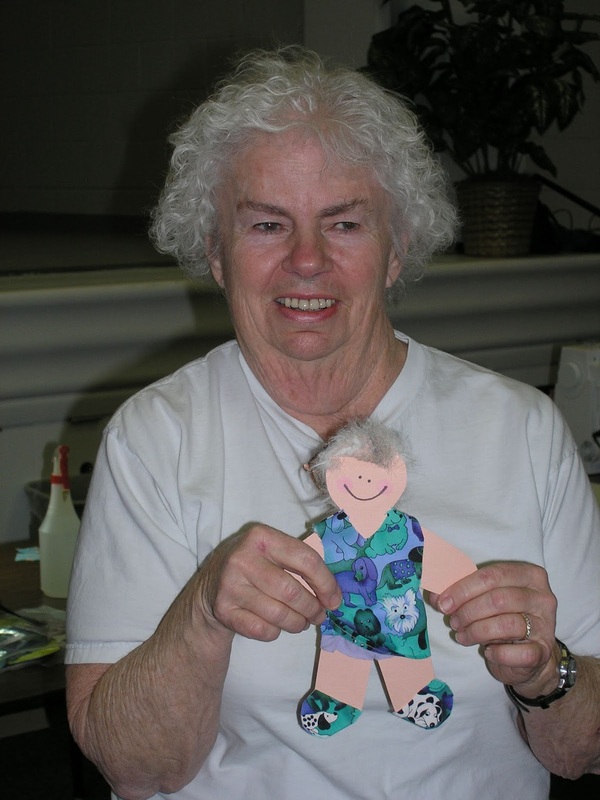 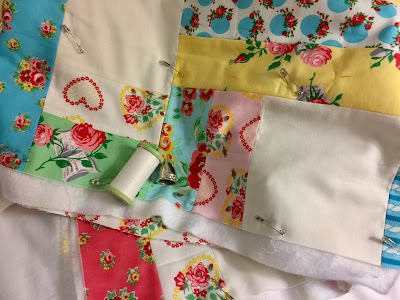 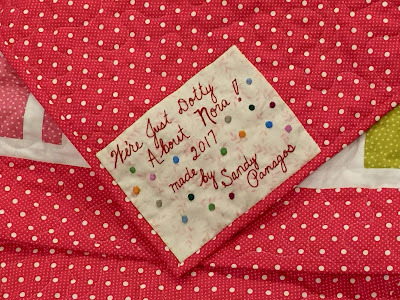 I shared with you in this post the doll quilts I was making for A Doll Like Me. 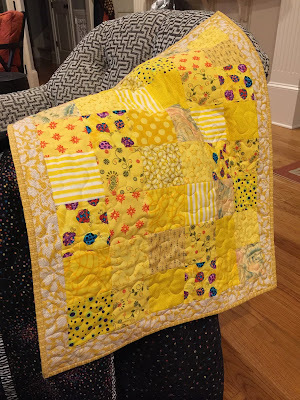 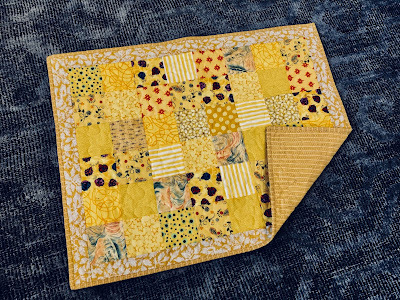 I recently needed a quick project to work on ( I just had to spend some time in my sewing room) so I decided to make another one - yellow this time! 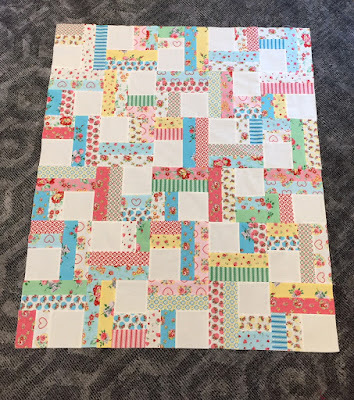 These little quilts are so fun to work on. 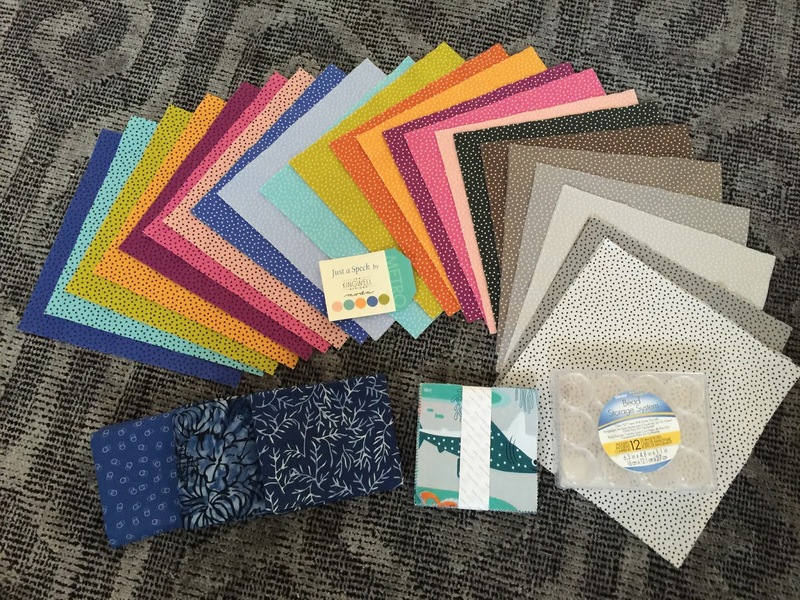 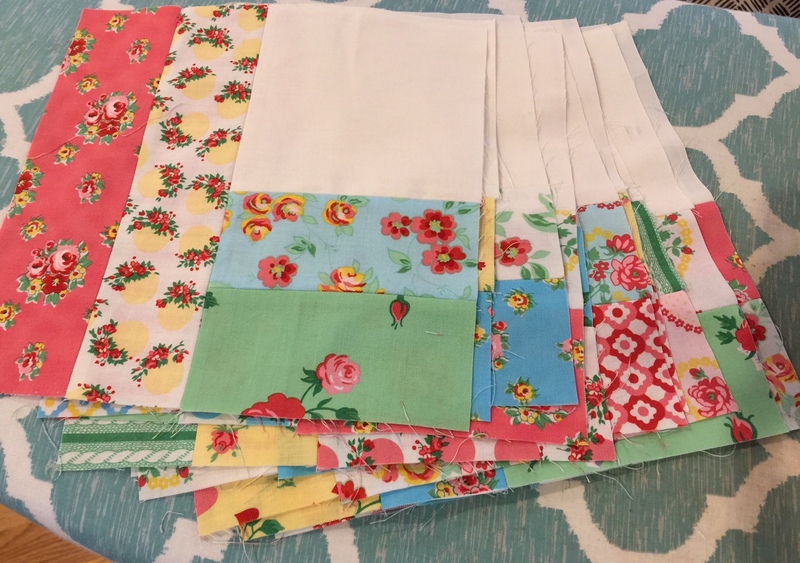 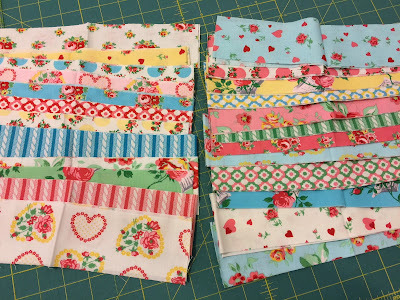 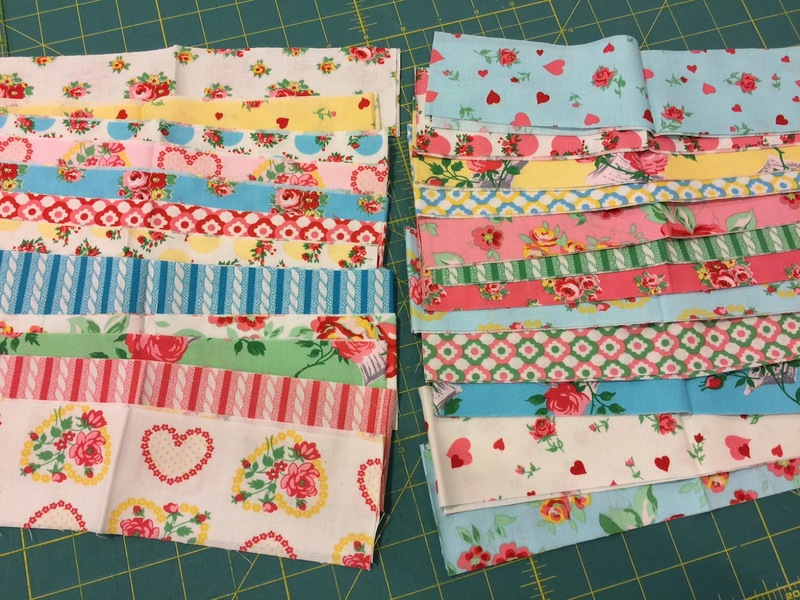 I gathered some squares from my oh-so-organized pre cuts, found a sashing and backing in my stash, and got busy. 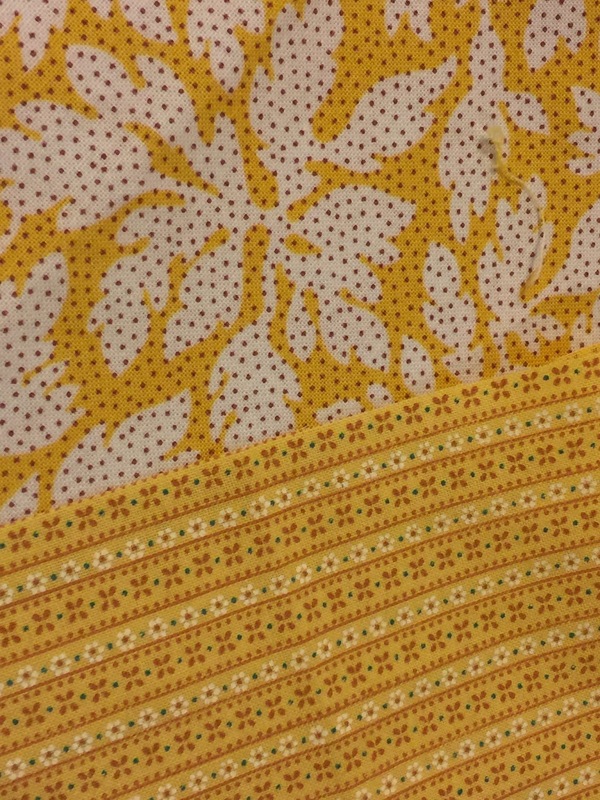 I was surprised these two fabrics went together so well considering two different people "donated" them to my "collection". 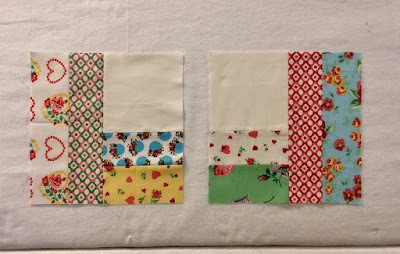 One was perfect for the border, and the other was destined for the backing. 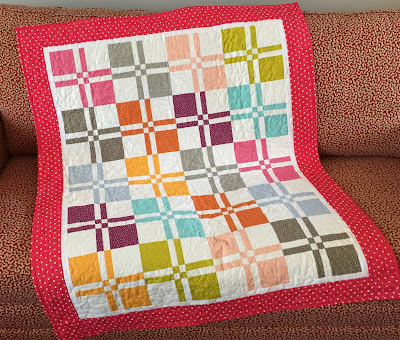 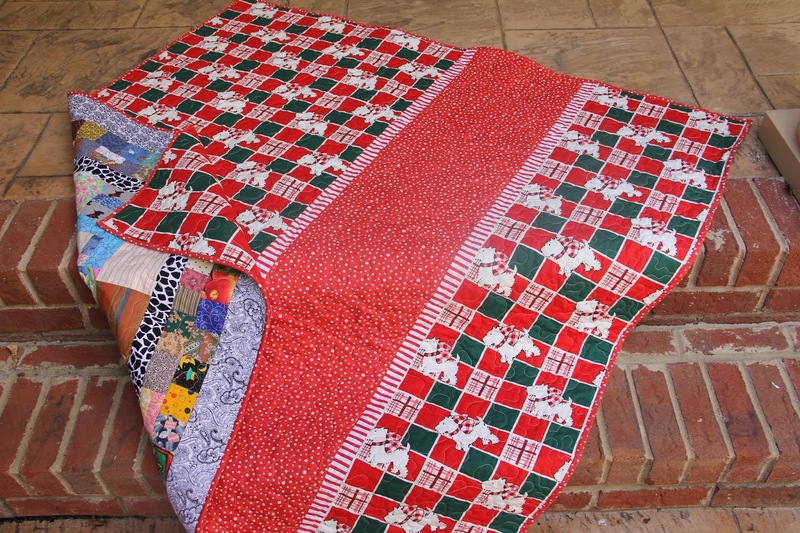 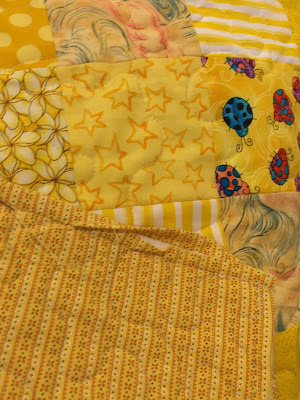 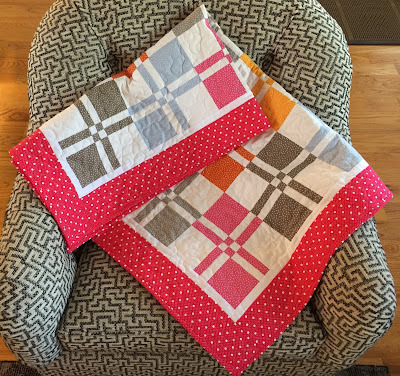 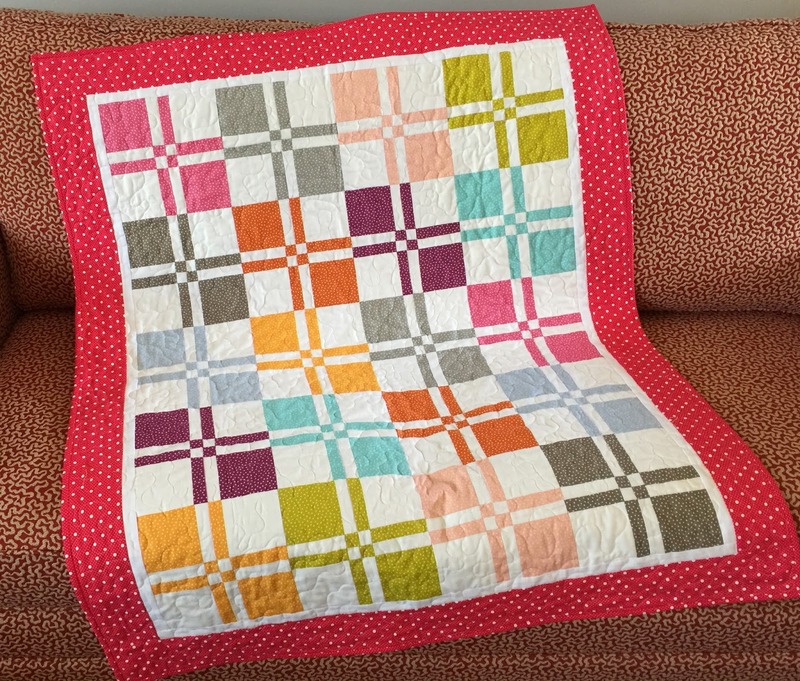 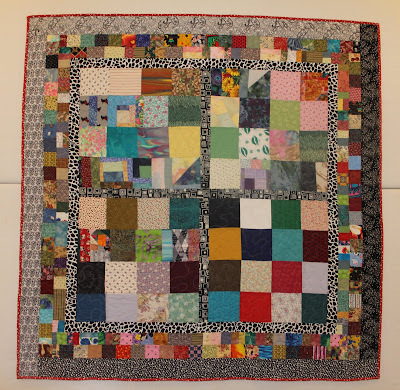 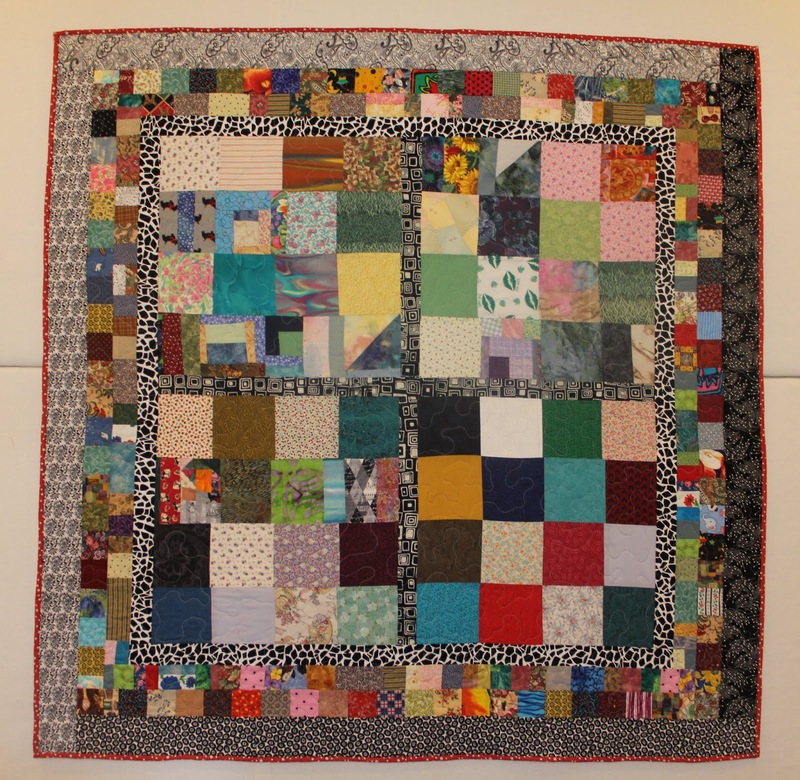 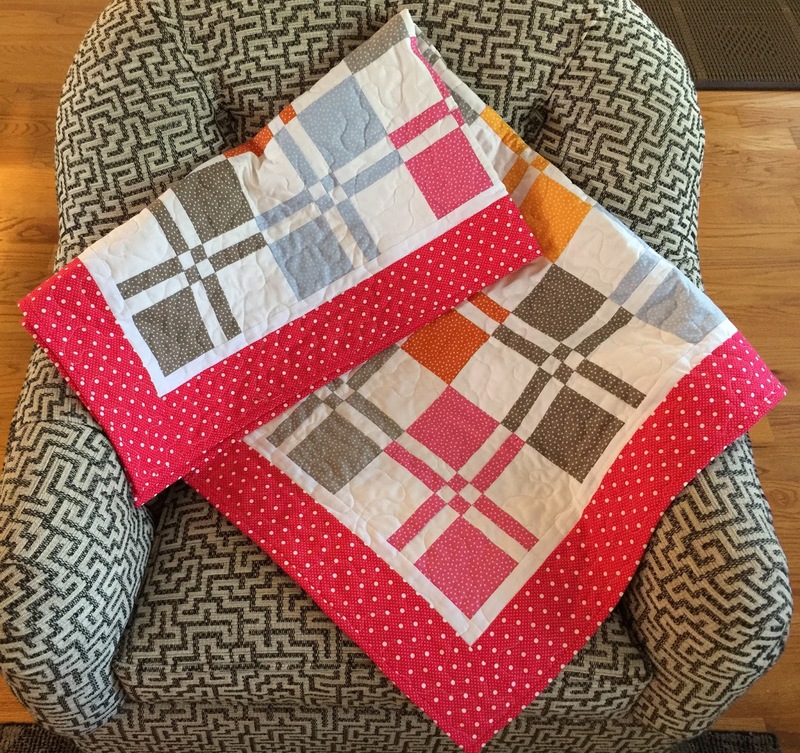 It didn't take any time at all to put the blocks together, quilt it with a simple meander, and attach the binding. Even cuter with a baby leopard on it. I think he's distantly related to the baby lion that served as the model for the last two doll quilts. 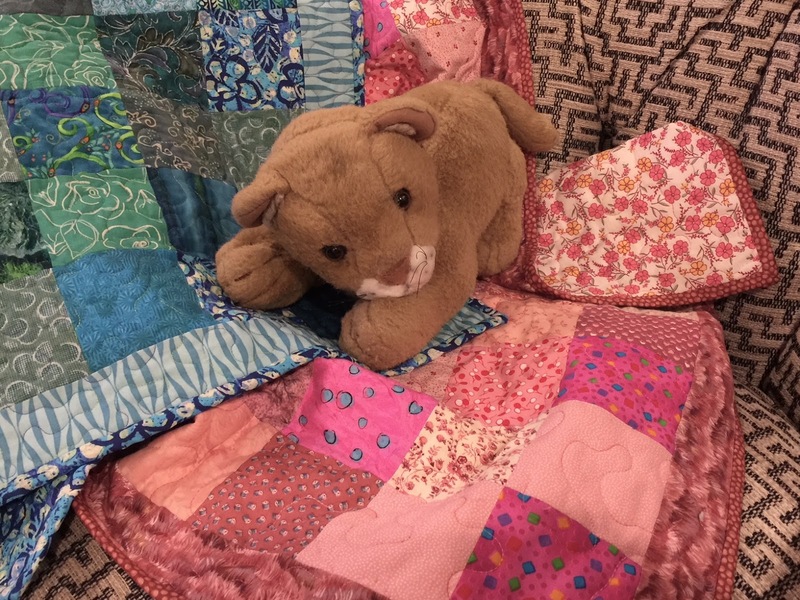 Maybe I need to make enough quilts to show off all the stuffed animals my boys left behind when they grew up!